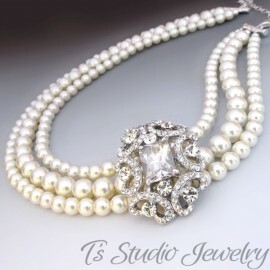 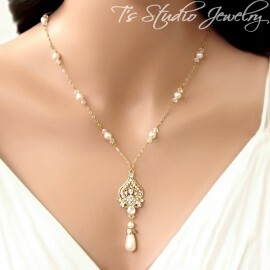 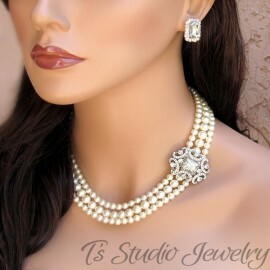 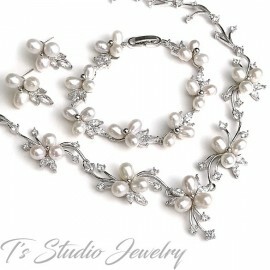 This lovely pearl necklace and earrings set has a beautiful floral design encrusted in rhodium plating adorned with sparkling clear rhinestones. 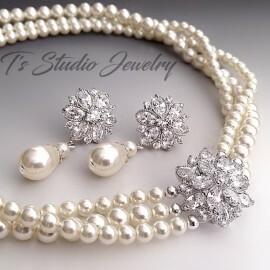 An adorable set to include into your special occasion celebration. 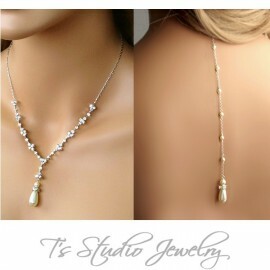 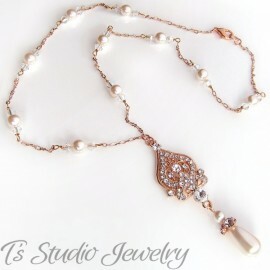 Necklace measures 16", with a 2.5" extender chain.